Cinematography was invented and developed in the 19th Century. There were many fascinating prototypes introduced by various early pioneers, but it was in the early 20th Century that home movie making by amateurs became a realistic possibility. The Kodak Company, founded by George Eastman, became the leading player in early 20th century developments in both still photography and, during the first World War, in movie making. In those early days of home movie making, only relatively wealthy individuals were able to afford to indulge in what was a very expensive hobby. However, I have been asked many times to ‘copy my 9.5 mm film to DVD’ where the film was originally shot in the 1920s!! – fascinating stuff, usually featuring early motor cars and sea cruises and expeditions – by the better off members of society. 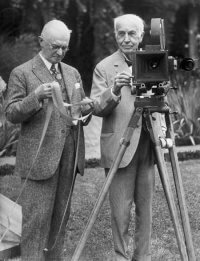 Similarly, I am still asked to ‘transfer 16mm cine film to DVD’, filmed in the 1920s and 1930s, often by the descendants of these ‘aristocratic individuals’, who have discovered their home movie collections after they had passed away. In 1932, the 16mm format was ‘adapted’ to 8mm. This innovative change was accomplished by packaging the 16mm film with sprocket holes on both edges, in units of 25 feet on a 16mm spool. This 16mm spool was then loaded into the new Standard 8 mm cameras and the film was exposed by running the first side of the 25 ft – early cameras were clockwork powered – then the camera was opened and the film reloaded to expose the ‘other side’. Once both sides had been exposed, the film was sent off to Kodak for developing. I remember awaiting the return of our own films (in the 1960s in our case) – very excited to see how they had ‘turned out’. It was a great thrill to see the family on screen at home in the ‘movies’. The setting up of the projector and screen was a ritual endured by many families in those long ago times. Little wonder, really, that we were able to develop ‘Memories On Video’ into the success story that is is. ‘Copy 8mm cine to DVD’ ‘transfer cine film to DVD’ ‘home movies to DVD’ – enquiries that we answer every single day. Standard 8mm remained the established home movie making format right through the 1930s, 1940s and 1950s. We have copied more Standard 8mm cine films to Video tape and DVD than any other format – we still do. 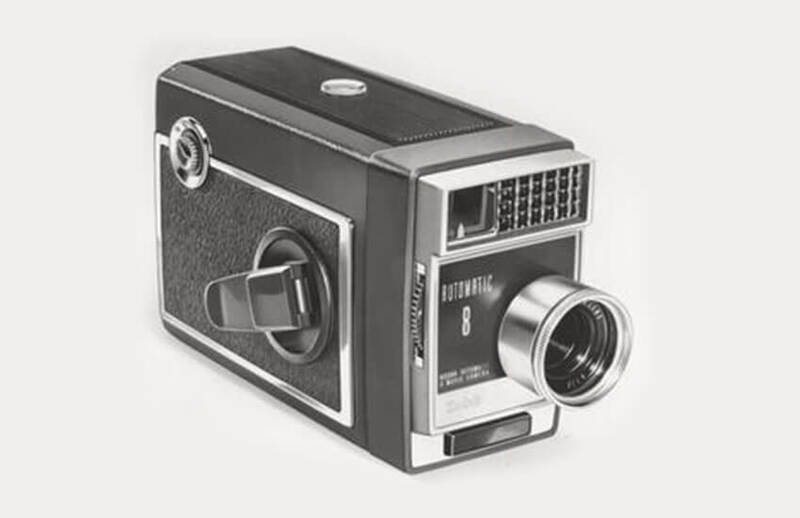 In 1965, Kodak (yes they still prevailed) launched their Super 8mm cartridge, which was a full 50ft length of film with smaller sprocket holes. 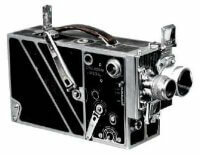 The cartridge was loaded into the movie camera and was exposed all the way through the 50 ft – no need to ‘turn it over’. Of course, we get lots of Super 8mm to transfer to DVD, soundstriped films were introduced in 1973 – giving ‘glorious picture AND sound! Of course, we ‘transfer super 8 sound films to DVD, as well as ‘copy Super 8mm to DVD’ -as you will see from our cine film section on this website, films without soundstripe can have FREE background music, or be left silent if preferred. The final development in home movies on cine by Kodak, was the introduction of ‘Single 8mm’ film – the same format as super 8 but on a thinner celluloid stock. … in fact ANY age and gauge of film copied to DVD!